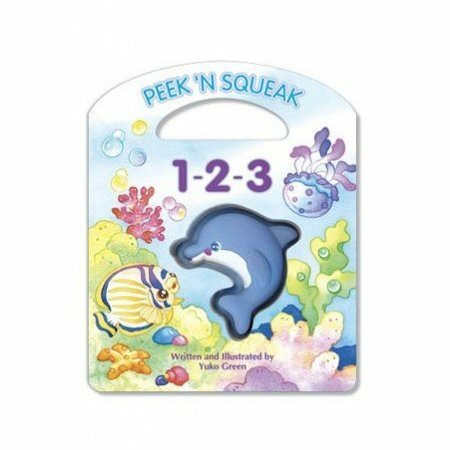 "Peek" and "squeak" along with your keiki as this interactive story teaches children to count up to ten with Little Dolphin. Young readers will enjoy counting along and squeezing the toy dolphin every time the dolphin icon appears. Peek 'N Squeak 1-2-3 is a fun Hawaiian children's book that will make a great gift for that special child in your life. 6 1/8" x 7 1/2"